An addictive, uplifting turn. A soundtrack for a lovely sunrise. At the start there... immediately thought of Deep Forest - 1992? "Jack bought a Jedi gnome"?? Reminds me of Deep Forest. ... Oh, he was a singer in that band for a while. Nice. ..struck me with an Enigma vibe at the start..also does anyone else hear pac-man in the "Awa Awa"..?.. ..only went back to comments circa 2008, sorry if retreading)..
...sounds like Mumford & Sons. A great Monday morning song. Oh to me not at all! it reminds me of Enigma. I love this song. I can't help feeling, tho', that if it were sung in English by Rod Stewart, we'd all be complaining that it belonged on AOR FM. I was in France about a decade ago when his single "Alane" became a MASSIVE hit on the French charts that summer; only the people who could speak Yoruba understood what he was singing but nonetheless it was a huge feelgood track. Still got my single somewhere in the cupboard! thought it was some interpretation of Whiter Shade of Pale for a bit there. And what the hell was the guitar solo doing in there. You mean, like, "Them kaffirs have to learn to stick to their primitive kaffir music." ? African Muzak I'm afraid. And what the hell was the guitar solo doing in there. Gets a 9 leaning toward more. Smooth sound, pleasing rhythm. Digging this. . . and Fozzy would too! meh. I mean that in the most original and culturally coherent fashion, of course. This must be the west African equivalent of that peculiar pablum labeled "soft jazz" in my nape of the woods. Professional execution, trendy time signature - just a little light on depth and soul to my ears. Extra cool outfit on the cover art, however. Agreed! And what a fine outfit it is, too. I SO wish someone would upload "One By One" by Lebo M. and the African Choir. It's done a cappella, and is so astonishing... When I listen to it, I think of those documentaries where a herd of gazelles just leaps into the air for the pure joy of it - and that's what I think of when I listen to "One By One." The voices blend so effortlessly, and then they take off from there in a counter-harmony so beautifully-blended, it's altogether possible that they're singing simply for the joy of it. Um, I like this song, too. A Killer song..A Wack a Wack a Wack ! THIS IS NO, NO,NO NO, NO,NO...... PARADISE. I would add that using such terms as "meh" illustrates a lazy mind and a lack of original thought, both of which are evident in the post you refer to. Too bad the wide cultural exposure here does not inspire a more coherent expression of some members' thoughts. As for this tune, it's a solid 8.
could you please play some 8 star music again? 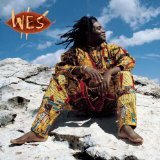 Whole album of Wes makes excellent music, same African style. I like the sound of this, mellow....so I went to look on the RP page and WHOA!! That's my name! There is something mesmerizing about this song; I like it. And with you as well! excellent harmonic transition from crowded house's "never be the same," to this! I was gonna say something... but then I stared too long at that guy's outfit... and all constructive thought got washed away. It's always good to keep clear of constructive thought... just ask Excelsior. Geeze Bill... that was awesome. Edit: In case this seg is lost, Crowded House - Four Seasons in One Day >> Wes - Awa Awa. And it was good. Better than good. Then I realized how horribly wrong I was and cried. The backing reminds me, sacrilegiously and facetiously I'm sure, of the backing to "The Lion Sleeps Tonight" (click here). Still, it is a Friday after all... Not a bad number, nowt special, pleasant enough - aural Mogadon. Shame about the 'electronic clap' background, though. 5 from the Nottingham jury. The Urban Dictionary is brilliant, and sometimes just hilarious. But saying the original poster was "stupid and exposing yourself as such" was a bit harsh, IMO. They may be a rocket scientist or brain surgeon, just new to online communities (where I was first exposed to the word "meh"), or not a native English speaker (I don't think "meh" is said or written in other languages). Not knowing the most modern slang (or not having perfect English for that matter) hardly makes one stupid. --No, it is irritating--almost as horrible as the random squealing brass. Headache. I wish the instrumental and drum tracks were less dated-sounding (shades of Enigma...), but the main vocal and the choral backing vocals redeem it. Thanks, RP, for playing world music! That first "Awa awa" always gives me goosebumps. I really like this one, but you can't buy it on itunes Canada. Like so many things. Sigh. That guitar solo just made the song. YES! Is that Brian May on guitar? meh? Please translate. No disrespect, I just like to know. How on earth do you even find this album....? We need a rating level called "meh." Without having a clue why, I like this. Well produced, good chorus with nice hook. I'll give it a 7. I think you just defined "world music" for me. I just changed my 8 of a few weeks ago to a 9. I wouldn't think I like this, but I do. 8. Me, too. Can't get my ears around "world music" (which I assume this would be called) usually, but I like this one. I won't compare this to any other artist, but certainly, this genrÃ© of Afica gives me a real feelin'of Spiritual connection with humanity :meditate: hence creation! I was thinking Pac-Man... awakawakawaka bleeeeoooop! so speaking of the 80s, do you recall "Open the door, get on the floor, everyone walk the dinosaur..."
This started out at a five and keeps going down. Awakawa...She's got Diamonds in the Souls of Her Shoes!! At the risk of being politically incorrect - Have to agree. I like exoctic foods but that doesn't extend to my ears. Worst part of RP is all the world-beat, lets be happy-happy, pukie stuff. Maybe Radio We-Play-Only-Depressing-Music would be a better choice for you. That was a great transition!!!!! "Never be the Same" to "Awa Awa"!!!! Made my evening!!!! Beautiful song! Anyone have a translation of the lyrics? The Fozzie Bear song...waka waka waka! I don't understand... but I like it anyway. Hey, Rolf. Don't worry about these people. Just enjoy the "world" music. Oh, and greetings from America. Make it go away away! I like it too. The artist site link is bad, but I found this link instead: https://www.deepforestmusic.com/wes_lyrics.htm An excerpt from that page regarding this song: Working behind this seemingly innocent song, there is a rather mischievous little ode, as it were, voiced by wild birds in the twilight. In it, we find physical love considered as an offering to divine love, a fire of joy for joy eternal, for the flight of fancy seen in the flickering flame of feminine beauty. I think I like it even more now! Without digging too much into the socio-political garbage...it sounds good, I like it. And that's my major criteria for any music. Wow. I really need to play this song next time I invite a pc sensitive-ponytailed baby-boomer guy over for dinner. even though you can't comprehend what he's singing, doesn't mean it's bad. Think about those who doesn't know english and listen to all of YOUR songs! Huh, thought about that? No, that was aweema wa aweema wa. The way they sing "Awa Awa", it sounds just like Ladysmith Black Mambazo on Paul Simon's "Diamonds on the Soles of Her Shoes". Does anyone else think the "Awa Awa" refrain sounds like a bit from "The Lion Sleeps Tonight"? This is very Westernized African music. I've lived and traveled extensively on the continent, and have heard a lot of raw African music. This is too polished and uses non-African arrangements and instruments. That's neither good nor bad. Just saying it's barely African to my ears. Wait, isn't AWA AWA how Paul Simon's "DIAMONDS ON THE SOLES OF HER SHOES" starts? That cow's been flung!! !